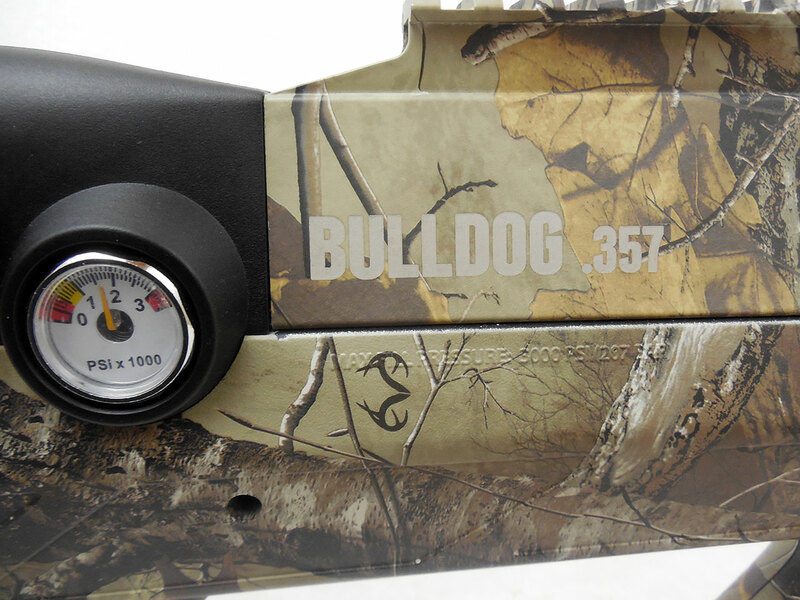 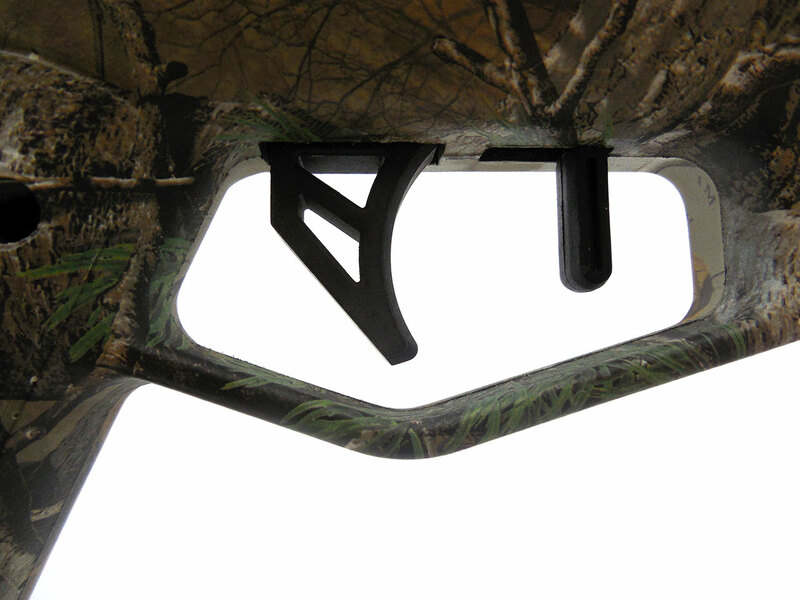 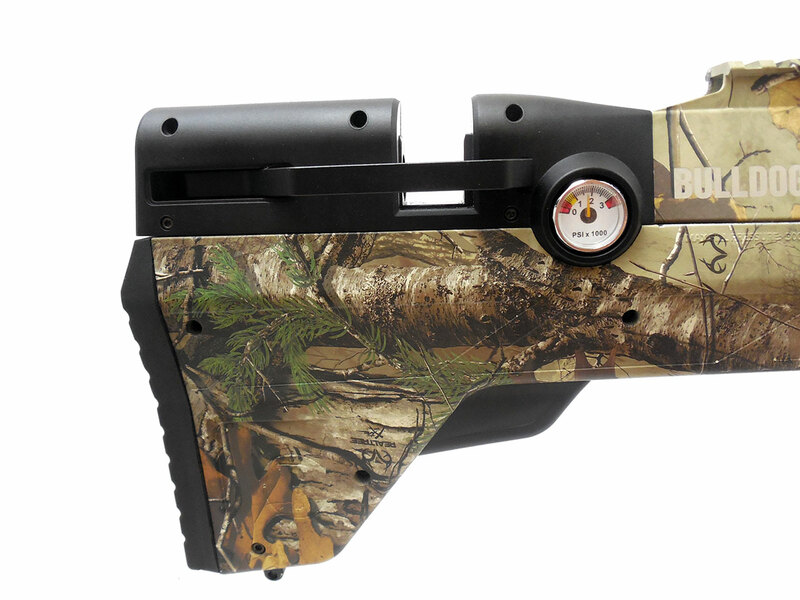 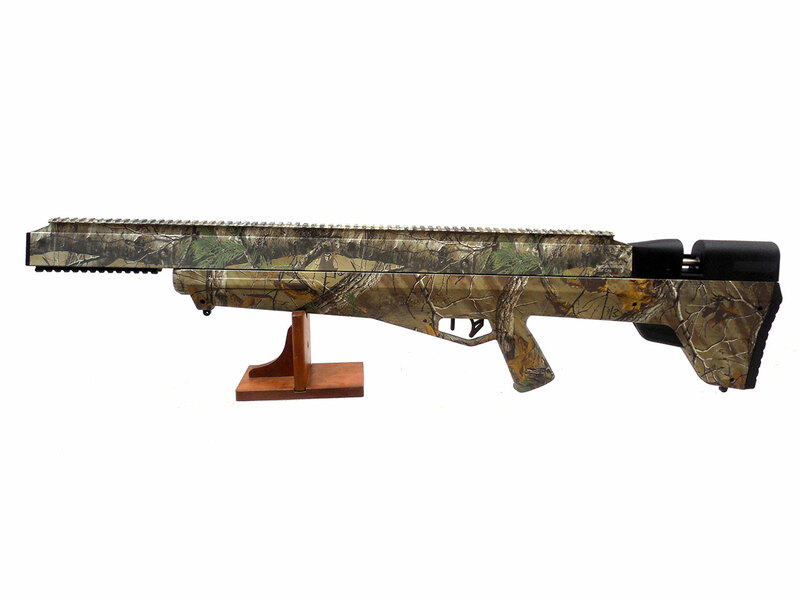 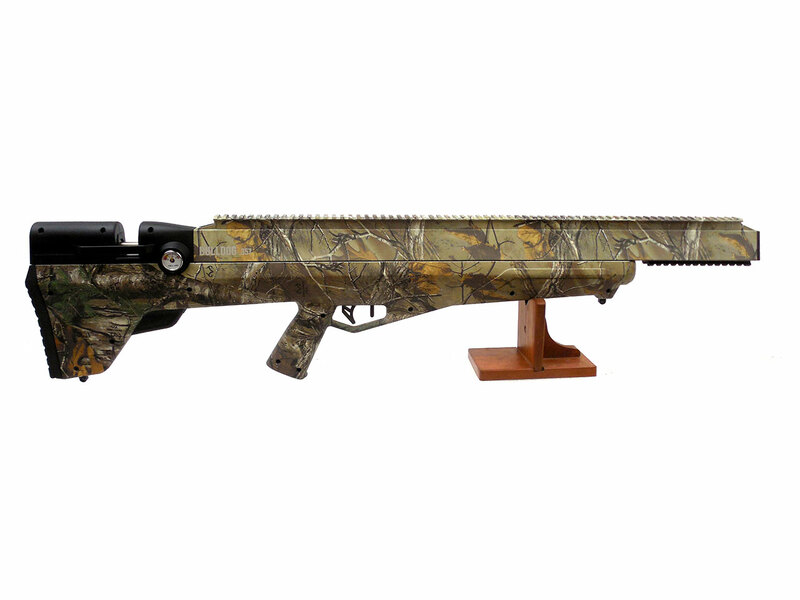 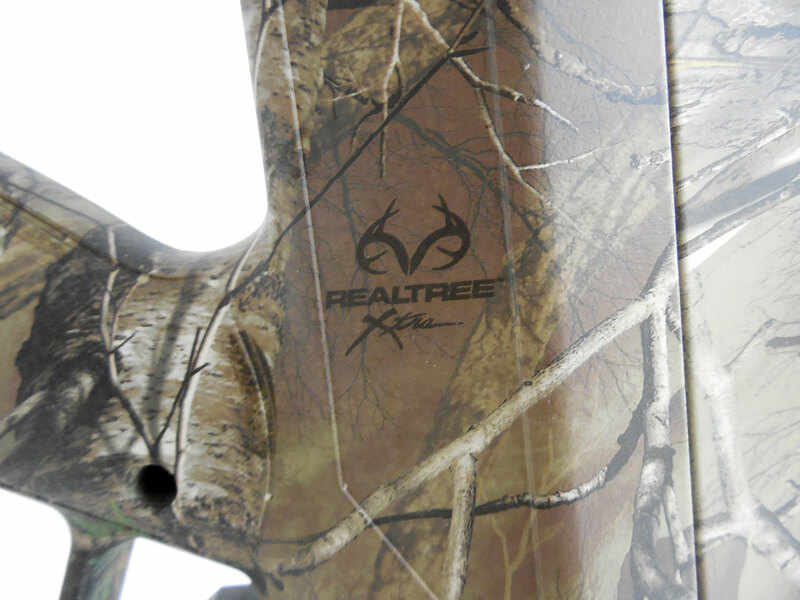 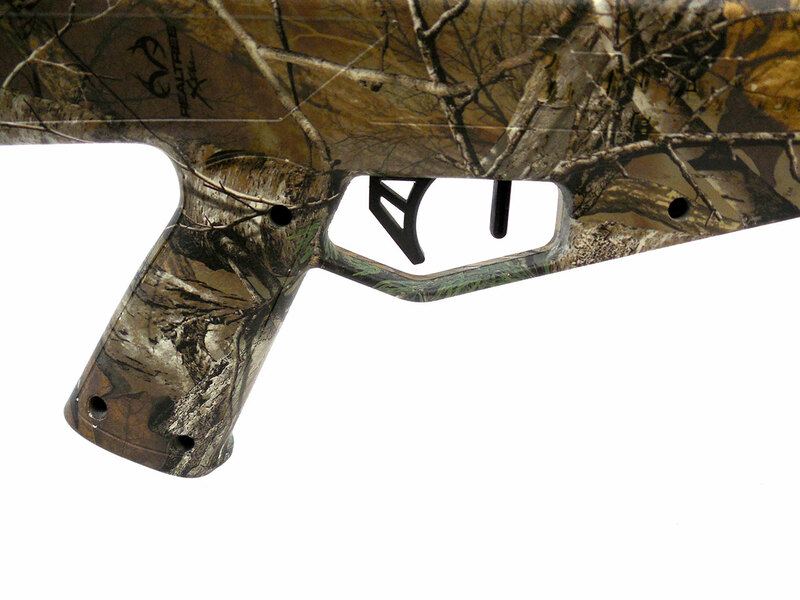 The Benjamin Bulldog .357 Realtree Xtra is a .357 caliber pre-charged pneumatic bullpup with Realtree camouflage synthetic stock. 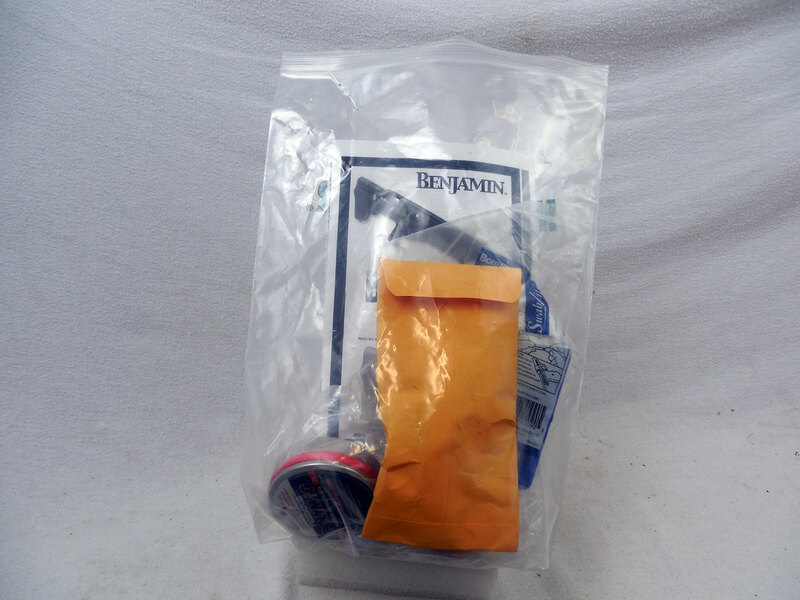 Owner’s manual and other extras are included (pictured). 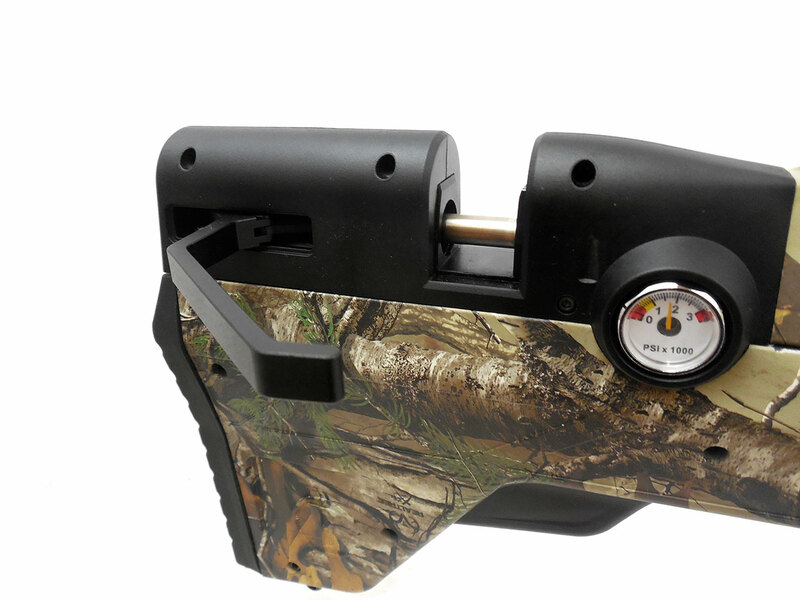 Velocity tested at around 737 fps using lead pellets.